When you leave a comment on THIS post by 6 p.m. CT Sunday, September 22, 2013 you'll be entered in the DRAWING for a copy of the book mentioned below. If you mention in your comment that you’re a follower (see in the left column “Join This Site” and “Follow by Email”), I’ll add your name a second time in the drawing. You must be eighteen, have a U.S. mailing address, void where prohibited. You can read details about my book giveaways at Disclaimers. 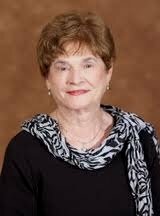 Our guest blogger is Marjorie B. Hill, author of Xeno Oaks: My home is in the small town of Walterboro, the low country of South Carolina. We have four wonderful children, three daughters and a son and have been blessed with seven grandchildren. I have been published in Moody Monthly, Pee Dee Magazine, Mustard Seed Ministries and several newspapers. Xeno Oaks is my first novel. When not gardening, I can be found at the Veterans Victory House in Walterboro, where my husband is a resident. I am a member of the American Christian Fiction Writers Southeast. What fun or unique things can you tell us about yourself that we don’t know? We served as missionaries to the beautiful country of Colombia, SA, after a year of language study in San Jose, Costa Rica. I was famous for getting my Spanish words confused…like when I asked the maid to clean the spot on the wall with sopa thinking it was soap, not realizing it was soup. Tomato soup doesn't go well with a white wall. Also, I am a Master Naturalist and have always been intrigued with the beautiful swamps and swamp life that is abundant in the low country of South Carolina. I grew up in a tiny (small is not an adequate description) southern town--maybe 500 including pets. According to my husband who suffers from Alzheimer's, I am tall, beautiful, and brilliant. In reality I am tall, love writing and teaching, and making people smile. I love gardening. I can get out there and yank those weeds (frustrations) from the landscape and feel so much better as I lean back and admire my work. Also enjoy reading and speaking and teaching. Especially enjoy spending time with my family. The Wedding Dress by by Rachael Hauck. The Princess and the Curdie by George MacDonald; George MacDonald by C.S. Lewis; Destined for the Throne by Paul Billheimer; Down the Long Hills by Louis L'Amour; Brides of the West by Lori Copeland. My list continues to grow as so many wonderful new authors shine forth. Simon Peter. I love the fact that he was constantly putting his foot in his mouth, yet he was chosen and loved by our Lord. That gives me tremendous hope. I have always loved stories. My parents were storytellers as well as my grandparents. Each evening the neighborhood children would come to hear Daddy's stories. He would sit them in a row on the back of the sofa, drag up a chair so he would be eye level and weave his interesting tales. There is a wonderful mystery with words and in writing. In seeing your characters come alive and revealing themselves to you. I have a desk with bookshelf and computer in my sitting room. But I have to admit that I keep a pad in my purse (my grandkids call it the black hole) to jot down ideas or thoughts before they zip out of reach. Also keep a pad on my nightstand. Please tell us about Xeno Oaks. God's love and forgiveness surpasses all of our problems. I suppose I want most of all for my readers to see redemption and forgiveness but also humor in our everyday lives. I have a tendency to take myself much too seriously. Yes. I included family stories and time related information. I don't remember when I didn't write. Comments, notes, diary, etc. 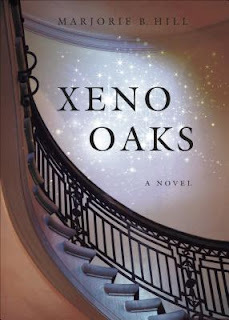 My first book, Xeno Oaks, was released on June 5, 2012. However it had been a work in progress for many years. I know this sounds redundant but don't give up. God's timing is perfect. A sequel to Xeno Oaks. The story of the older sister, Penny. Also I have a weekly devotional blog, The Front Porch Visit--A Southern Tradition. I have an author's page on Amazon. Also it's available on the Tate Publishing website. Thank you so much for this opportunity. It is a privilege to be interviewed by you. Marjorie, thank you for visiting with my readers and me. One of our commenters will win a copy of Xeno Oaks in a random drawing. Remember: leave a comment on THIS post by 6 p.m. CT Sunday, September 22, 2013 and you'll be entered in the drawing for a copy of Xeno Oaks by Marjorie Hill. Please, please remember to leave your email address. I’ll need you email address so that should you be the winner I can get in touch with you. I’ll announce the winner in Monday’s blog. The winner of last Monday’s blog post for a copy of A Ton of Gold by James R. Callan is Maxie. I'll email you. Thanks all for commenting. Watch for more book giveaways. Maxie, thanks for coming by and leaving your comment. Many thanks for following my blog!! Hi. This is a new story and new to me author. Sounds good. Please enter me. Thanks. Boos Mum, glad you found a new author. Thanks for stopping by and leaving your comment. You're entered. What an interesting name to have...and I thought the mother of my boss had an unusual name, Queenie. Would love to read your first book. Melody, thanks for reading and leaving your comment. Enjoyed the fabulous interview. Marjorie, you're a new author to me. Your book sounds fantastic. Looking forward to reading it. Thank you for sharing and please enter my name in this giveaway. Also, I'm a follower and a subscriber!! Barbara, glad you enjoyed the interview. Thanks for coming by and leaving your comment. I appreciate you following my blog!! Your story sounds wonderful, Marjorie. We lived in SC in the lowcountry, too. I know where Walterboro is,and I love the title and your winding staircase cover. Your experience on the mission field sounds interesing. Have you read Deborah Raney's book BENEATH A SOUTHERN SKY? She writes about that area, too. Blessings as you continue your writing and congratulations on your new book. Diane, thanks for coming by and leaving your comment. What a unique name - Xeno Oaks! Love it. Hey, glad you stopped by and left your comment. Thanks for following my blog!! Congratulations on your debut novel, Marjorie! I hope you enjoy the ride. Your book sounds interesting ~ the title is intriguing and that alone makes me want to find out more. Thank you for the opportunity to win a copy! Amanda, thanks for stopping by and leaving your comment.